I figured I'd get through one of the monthly magazines while it's still relevant! 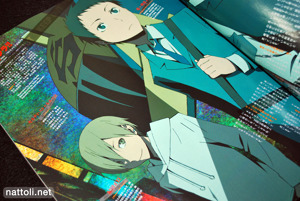 I buy Animage Magazine every month because I like seeing the art work from new shows, and get general info about what's coming out and the extra goodies. 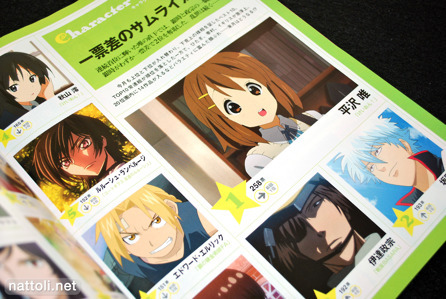 The greatest focus is usually on the shows that have recently premiered. 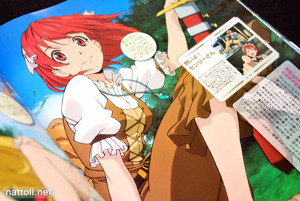 The November issue of Animage came with a set of three clear file folders, which is really good value for an extra. I usually use these to just store other posters in, but they're nice and decorative. 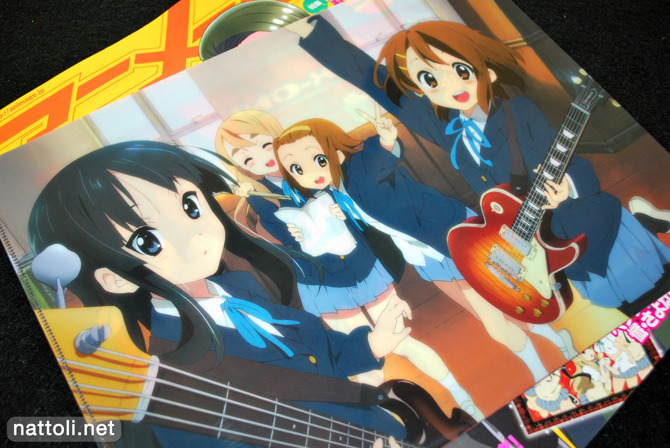 The clear files are all double sided and feature art work from K-ON, Sayonara Zetsubou Sensei, and Hetalia Axis Powers. 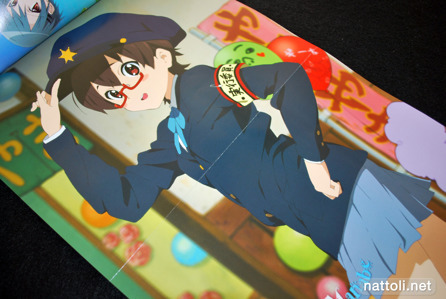 This poster of Nodoka Manabe from K-ON is another nice extra. For a secondary character, Nodoka must really have a lot of fans, because they usually don't bother with anyone other than the main characters! 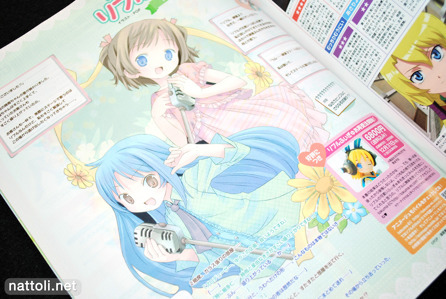 Back side of the poster includes info on the voice actress and Nodoka moments in the show. 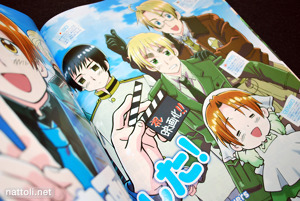 There were 9 pages dedicated to Hetalia Axis Powers with pictures of the voice actors for Japan, Italy and Germany, along with art work for the show. 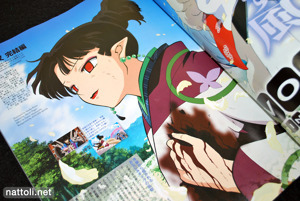 In the first half of the magazine there are spreads from Inuyasha: The Final Act, and Darker than Black: Ryuusei no Gemini (along with voice actor info for Hei and the new girl whose name I don't know yet ^^;). 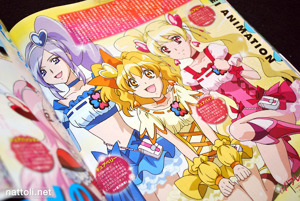 The girls from Nyan Koi, Kaede Mizuno and Kanako Sumiyoshi are featured in a spread in maid costumes with their kitties. 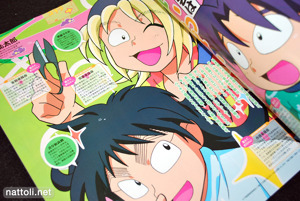 There's also a spread for Nintama Rantarou -_- Not exactly one to watch for the art work! Though gone, they're not forgotten: Code Geass gets is advertising for its memorial, and there's a Gundam 00 poster with Tieria and Allelujah. 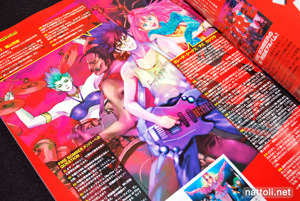 Though it doesn't happen every month, the upcoming movies are featured in this issue, with spreads from Macross Frontier, and East of Eden: The King of Eden (can't wait to see that one) which starts in theaters November 28th, 2009. 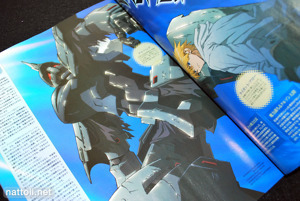 Break Blade is next, with a spread that actually includes one of the characters. 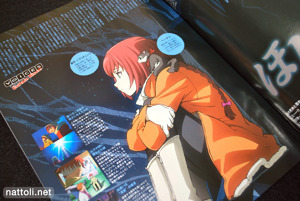 Most of the images before were only of the Mecha. 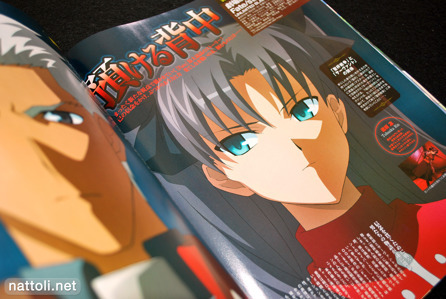 The section finishes off with the Fate/Stay Night movie that's coming out, with a picture of Rin and Archer (again). 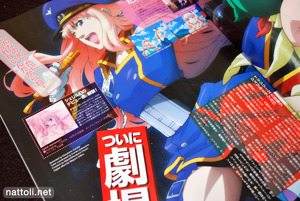 The Magical Girl Lyrical Nanoha Movie 1st gets a mention as well as the new Space Battleship Yamato film. And back to the TV shows! 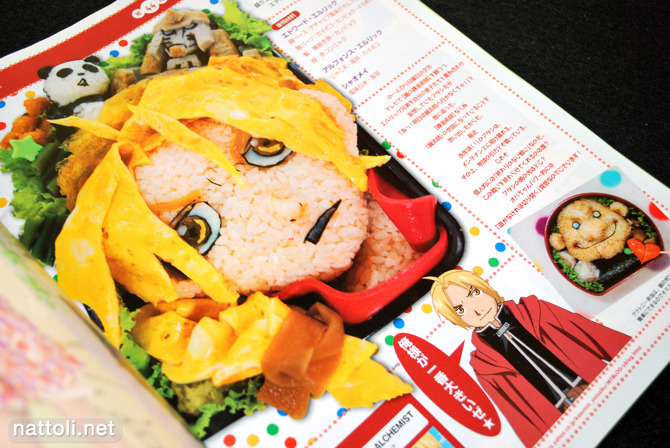 There is a mega-spoiler picture for Fullmetal Alchemist, if you're not up to date with the show. I always get spoiled big time by the magazines, but I guess it doesn't really stop me from watching a show ^^; Bakemonogatari gets a bit of goodbye spread, since it's ended, and so does Taishou Yakyuu Musume. 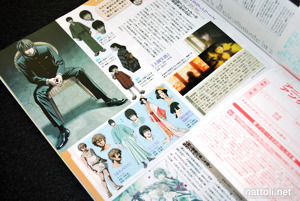 This month's character line arts are from Bakemonogatari, and the interview this month is Nishizaki Yoshinobu who appears to have lead an interesting life ^^; The feature movie review was Drag Me to Hell, with a movie illustration by Yoshihiko Umakoshi. 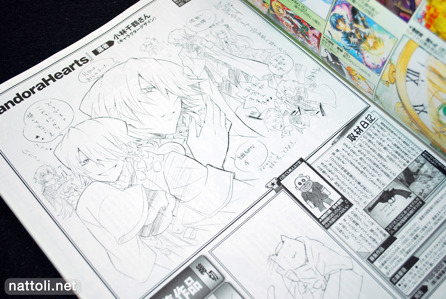 The artist's corner features sketches by Pandora Hearts character designer Chizuru Kobayashi. 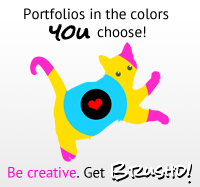 I wish they'd condense it, take out the VA stuff and the other color articles and make it cheaper. Something like a successful poster magazine would be great. 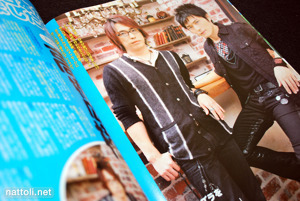 Didn't they already try to make a poster magazine? 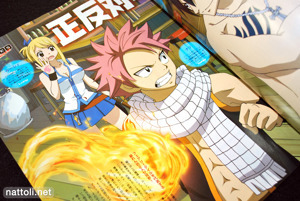 I think the fan-service magazines have cornered the market on posters :D I like that Animage has stuff for guys and girls. 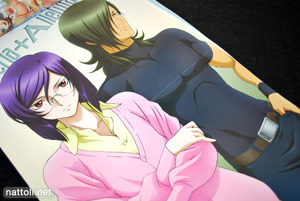 The poster magazines that do exist basically sell to just one or the other (like PASH! 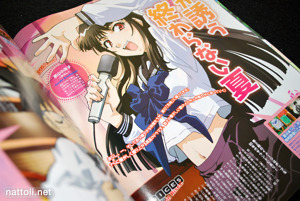 and Megami). There are character sketches every month! 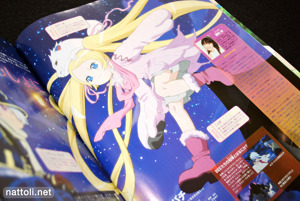 In fact, both Newtype and Animage focus on a series each month. I really don't know. 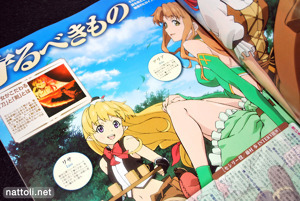 From the English anime magazines I've bought in the past, most didn't have a focus on the art work for upcoming shows, aside from Newtype USA which is now suspended.